After UN Secretary-General Kofi Annan offered a glowing introduction, Negroponte explained exactly why. The $100 laptop would have all the features of an ordinary computer but require so little electricity that a child could power it with a hand crank. It would be rugged enough for children to use anywhere, instead of being limited to schools. Mesh networking would let one laptop extend a single internet connection to many others. A Linux-based operating system would give kids total access to the computer — OLPC had reportedly turned down an offer of free Mac OS X licenses from Steve Jobs. And as its name suggested, the laptop would cost only $100, at a time when its competitors cost $1,000 or more. “We really believe we can make literally hundreds of millions of these machines available to children around the world,” Negroponte promised. “And it’s not just $100. It’s going to go lower.” He hinted that big manufacturing and purchasing partners were on the horizon, and demonstrated the laptop’s versatile hardware, which could be folded into a chunky e-reader, a simple gaming console, or a tiny television. Then, Negroponte and Annan rose for a photo-op with two OLPC laptops, and reporters urged them to demonstrate the machines’ distinctive cranks. Annan’s crank handle fell off almost immediately. As he quietly reattached it, Negroponte managed half a turn before hitting the flat surface of the table. He awkwardly raised the laptop a few inches, trying to make space for a full rotation. “Maybe afterwards…” he trailed off, before sitting back down to field questions from the crowd. The moment was brief, but it perfectly foreshadowed how critics would see One Laptop Per Child a few years later: as a flashy, clever, and idealistic project that shattered at its first brush with reality. If you remember the OLPC at all, you probably remember the hand crank. 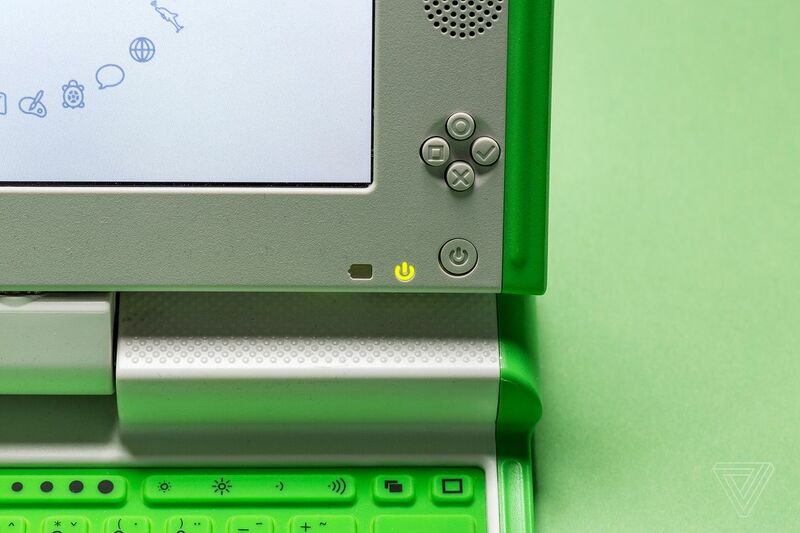 It was OLPC’s most striking technological innovation — and it was pure vaporware. Designers dropped the feature almost immediately after Negroponte’s announcement, because the winding process put stress on the laptop’s body and demanded energy that kids in very poor areas couldn’t spare. 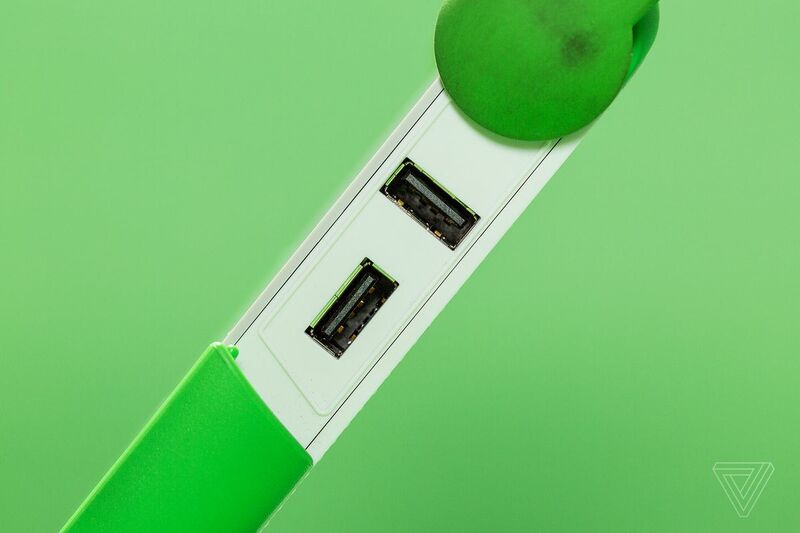 Every OLPC computer shipped with a standard power adapter. By the time OLPC officially launched in 2007, the “green machine” — once a breakout star of the 21st-century educational technology scene — was a symbol of tech industry hubris, a one-size-fits-all American solution to complex global problems. But more than a decade later, the project’s legacy is more complicated than a simple cautionary tale. Its laptops are still rolling off production lines, and a new model is expected later this year. And people are still talking about the crank. Nicholas Negroponte was a self-described optimist, and his business was inventing the future. A professor with decades of experience at MIT, Negroponte had co-founded the university’s influential Media Lab in 1985. He’d been one of the first backers of Wired magazine, where he wrote a column evangelizing the transformative power of technology. And he had a longtime passion for education — where computers, he thought, could be revolutionary. By the late 1990s, children’s computing initiatives were a major political priority in the States. President Bill Clinton popularized the idea of a “digital divide” between rich and poor, and some American schools began issuing students individual computers to close the gap. Microsoft and Toshiba sponsored a laptop distribution program called Anytime Anywhere Learning, and Maine funded a statewide initiative with input from Papert himself. Negroponte, however, was more interested in reaching students who might never have seen a laptop at all. In 1999, he and his wife opened a school in the remote Cambodian village of Reaksmei, equipping it with a satellite dish, generators, and rugged Panasonic Toughbook laptops. It was a key moment for Negroponte. He considered the program a success, talking to reporters about how children would use the laptops as the only source of electrical light in their homes — “talk about a metaphor and a reality simultaneously,” he quipped at one point. But most schools across the developing world couldn’t afford Toughbooks. They needed a new kind of device. OLPC wasn’t just a laptop, it was a philosophy. Negroponte insisted that kids needed to personally own the computers, so they’d be invested in maintaining them. And they should be able to use them anywhere, not just under teachers’ supervision. For inspiration, he pointed to educational researcher Sugata Mitra’s famous Hole-In-The-Wall experiment, where children taught themselves to use a computer in a Delhi slum. Mitra’s vision was more minimalist than OLPC’s, but both projects were almost totally focused on distributing computers. Kids’ natural curiosity was supposed to do the rest. This was a provocative idea, and Negroponte’s OLPC pitch toed the line between ambition and hubris. The organization wouldn’t just sell hundreds of millions of units, he declared; it wouldn’t even take orders of less than a million. The laptop wasn’t just tough, it was so tough you could throw it across a room — a feature he’d happily demonstrate in interviews. These pronouncements made headlines. “We wouldn’t be having this conversation — and OLPC wouldn’t be recognized still, ten years later, by many people — if they hadn’t gone in big from the start,” says Christoph Derndorfer, former editor of entrepreneur Wayan Vota’s now-defunct blog OLPC News. But OLPC’s overwhelming focus on high-tech hardware worried some skeptics, including participants in the Tunis summit. One attendee said she’d rather have “clean water and real schools” than laptops, and another saw OLPC as an American marketing ploy. “Under the guise of non-profitability, hundreds of millions of these laptops will be flogged off to our governments,” he complained. In the tech world, people were skeptical of the laptop’s design, too. Intel chairman Craig Barrett scathingly dubbed OLPC’s toy-like prototype “the $100 gadget,” and Bill Gates hated the screen in particular. “Geez, get a decent computer where you can actually read the text,” he told reporters. And the laptop Negroponte was pitching in 2005 simply didn’t exist. 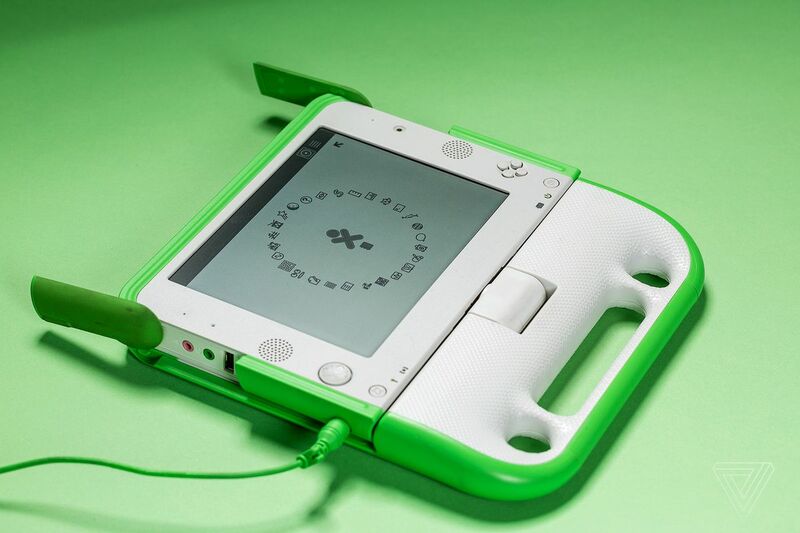 OLPC’s prototype was little more than a mockup. It hadn’t signed a manufacturer, let alone priced out a sub-$100 product. Groundbreaking technologies like the crank and mesh networking system were still mostly theoretical. Rabi Karmacharya — whose education nonprofit Open Learning Exchange Nepal runs one of the oldest existing OLPC deployments — says that for people pitching OLPC to their local governments, utopian hype about a $100 self-powering computer wasn’t helpful. It distracted people from the promise of what OLPC was actually building: a tiny, low-power laptop at an incredible price. Despite the clumsy unveiling in Tunis, within a month OLPC had secured a deal with Taiwanese computer maker Quanta, whose founder Barry Lam liked the project’s humanitarian mission. OLPC announced plans to launch by the end of 2006, shipping a million laptops apiece to seven countries, as well as smaller numbers to developer communities elsewhere. Quanta was even supposed to explore building a commercial version of the laptop. OLPC had made genuine technical breakthroughs. In its very early concept designs, the laptop used a rear projection screen that gave it a tent-like look; the final product featured a custom LCD display designed by CTO and co-founder Mary Lou Jepsen. The screen toggled between full-color and black-and-white modes, consuming a fraction of the power that a standard display would need. It could be manufactured for just $35, which was more than Negroponte initially wanted, but still remarkably cheap. OLPC’s first prototype looked like a conventional computer, albeit one that was bright green and book-sized. Lauded designer Yves Béhar soon came on board to rework almost every other aspect of the laptop’s aesthetic. Behar says the team spent almost a year sending prototypes to schools around the world for feedback, as they slowly negotiated a compromise between looks and practicality. The result was a distinctive-looking machine known as the XO-1: a toylike green-and-white laptop with rounded edges, a swiveling “neck” instead of a standard hinge, and a chunky bezel around its 7.5-inch screen. Every flourish on the XO-1 was designed to serve a purpose. Its screen folded into the keyboard to create a tablet, controlled by a few buttons on its bezel. Ear-like antennas flipped up to extend its Wi-Fi range, while protecting the laptop’s ports when they were folded down. A decorative XO logo was printed in hundreds of color permutations, so kids could tell their laptops apart. And a dustproof one-piece rubber keyboard made it easy to print any key layout. “Some countries got their very first keyboard ever created in their own local language,” says Béhar. With The New York Times publishing headlines like “The laptop that will save the world,” and millions of sales on the horizon, OLPC looked set for success. Then, everything started to fall apart. 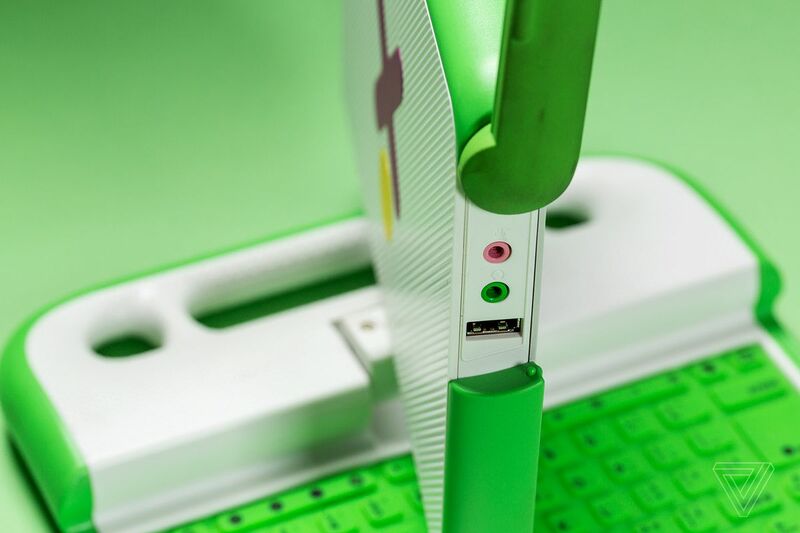 After announcing “the $100 Laptop,” OLPC had one job to do: make a laptop that cost $100. As the team developed the XO-1, they slowly realized that this wasn’t going to happen. According to Bender, OLPC pushed the laptop’s cost to a low of $130, but only by cutting so many corners that the laptop barely worked. Its price rose to around $180, and even then, the design had major tradeoffs. The XO-1 was easy to take apart — there were even a few spare screws inside its handle. But things like the screen could only be replaced with OLPC-specific parts. The solid-state storage was sturdier than a traditional hard drive, but so expensive that the XO-1 could hold only a single gigabyte of data. Some users complained that the one-piece rubber keyboard fell to pieces after too much typing. The internet-sharing system barely worked, and it was quickly removed from Sugar. While Sugar was an elegant operating system, some potential buyers were dubious of anything that wasn’t Microsoft Windows. They wanted students to learn an interface they’d be using for the rest of their lives, not just with the XO-1. While OLPC was still designing the XO-1, Intel announced that it too was building a cheap educational laptop. The Classmate PC would be small and rugged like OLPC’s design, but run the more familiar Windows XP operating system and sell for somewhere between $200 and $400. As OLPC’s full-scale launch slipped to 2007, and its $100 price tag faded away, Intel shipped the first Classmate PCs to Brazil and Mexico. OLPC, which prided itself on not being a tech company, had little experience landing hardware contracts. It announced incredible sales numbers, only to have buyers scale back or drop out. Officials in India, one of OLPC’s original seven customers, reportedly killed the deal because of a long-standing feud with the Media Lab. In a particularly stinging loss, Libya canceled an order of 1.2 million XO-1 laptops and bought Classroom PCs instead. Bender thinks OLPC might have struck more deals if it had focused less on technical efficiency. “Every conversation we ever had with any head of state — every time — they said, ‘Can we build the laptop in our country?’” he says. “We knew that by making the laptop in Shanghai, we could build the laptop [to be] much less expensive. And what we didn’t realize was that the price wasn’t what they were asking us about. They were asking us about pride, not price. They were asking us about control and ownership of the project.” OLPC had created a computer that could withstand dust and drops, but it hadn’t accounted for political messiness. As development dragged on, the XO-1 started looking less technically impressive, too. 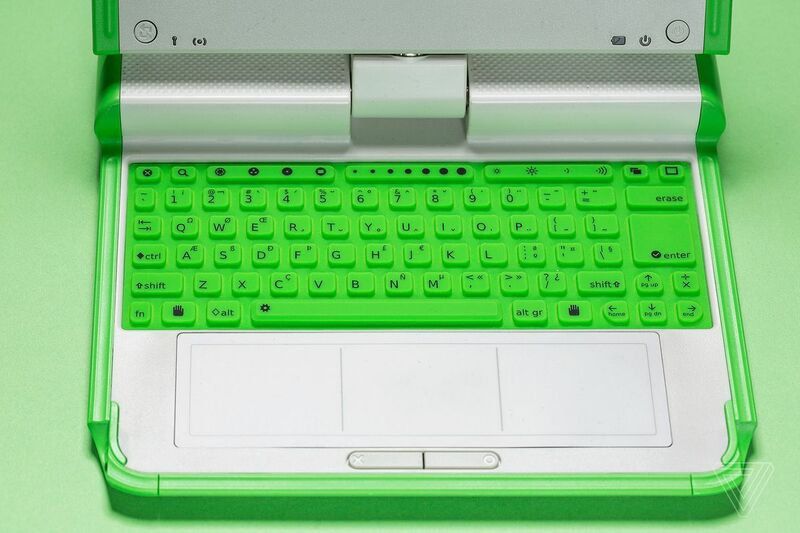 In mid-2007, Taiwanese company AsusTek revealed an eye-catching new computer called the Eee PC, delivering a cheap, tiny laptop without OLPC or Intel’s educational trappings. The Eee PC had a lot of the XO-1’s drawbacks: slow performance, a tiny screen, a minuscule hard drive, and a cramped keyboard. But the $399 machine was an unexpected success. It sold 5 million units in the first year, and other laptop makers quickly released their own “netbook” computers, fueling a massive boom in cheap, tiny laptops. Meanwhile, OLPC’s own prospects looked increasingly modest. One 2007 report suggested that the XO-1’s first production run would be a paltry 300,000 laptops. The final numbers weren’t quite so bad. OLPC ran a “Give One Get One” program where people paid $400 to buy a laptop for themselves and a student, raising $35 million and selling 162,000 computers. It managed sizable deals with Mexico, Uruguay, and Peru, for a total of around 600,000 XO-1 sales by the end of the year. 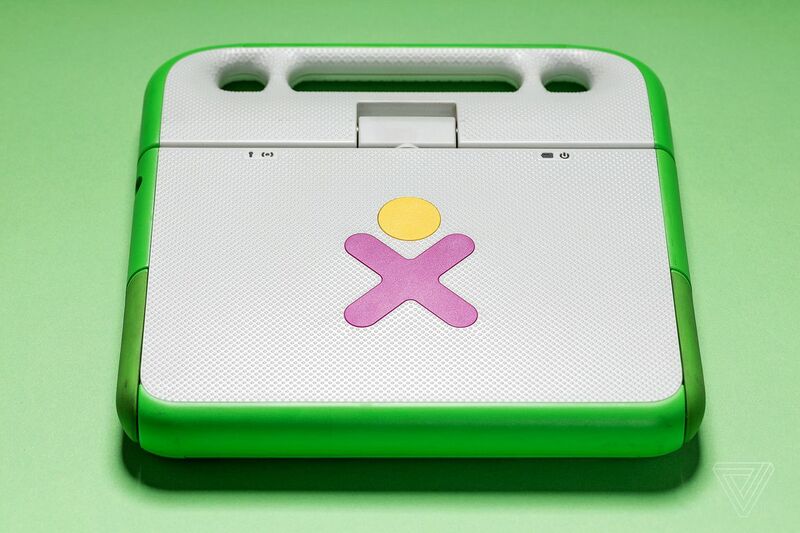 The launch of the XO-1 should have been just the beginning for OLPC — but for two of the group’s three co-founders, it was nearly the end. At the start of 2008, Mary Lou Jepsen left to found a low-power display company called Pixel Qi. A few months later, OLPC took a step that Walter Bender thought was unforgivable: it compromised its commitment to open source software, partnering with Microsoft to put Windows on the XO-1. OLPC plunged ahead by announcing a futuristic dual-screened laptop called the XO-2 in May of 2008, but as the US spiraled into the Great Recession, the organization struggled. When it tried to raise money with a second “Give One Get One” sale, it made less than a tenth of its earlier takings. Startled, Negroponte slashed the initiative’s budget, halved its staff, and created two separate organizations to manage it. His own Boston-based “OLPC Foundation” would develop new hardware — though not the XO-2, which was unceremoniously canceled. A Miami-based “OLPC Association,” led by his friend Rodrigo Arboleda, would distribute its existing laptops. This was a real win for OLPC, but by the time it happened, many people already considered the initiative a failure. This put OLPC’s base of operations closer to Latin America, where most of its laptops were going. Peru ordered nearly a million XO-1 computers, but its program was plagued with logistical problems, as the machines went to schools with spotty electrical power and teachers got little support or training. A smaller program in Uruguay fared better, distributing 400,000 laptops across the country’s entire primary school population. This was a real win for OLPC, but by the time it happened, many people already considered the initiative a failure. OLPC’s Microsoft partnership had alienated parts of the open source community and come to nothing. It had experimented with an American program in Birmingham, Alabama, but its key contact — Birmingham’s mayor — was arrested for running a multimillion-dollar bribery ring. 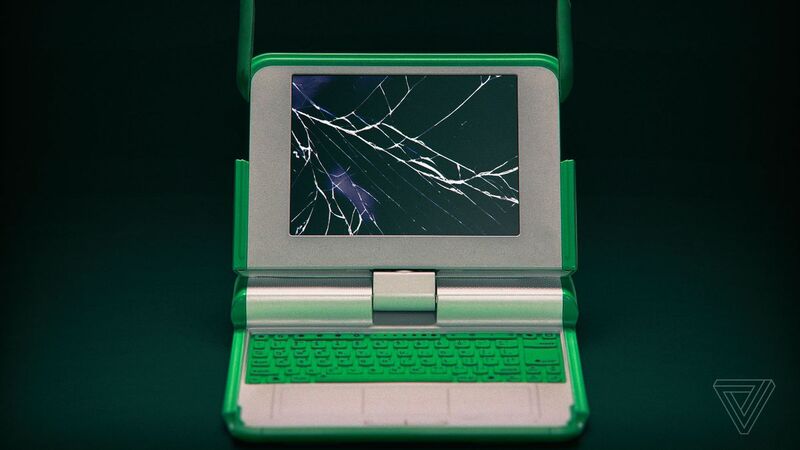 In 2009, TechCrunch named OLPC’s laptop one of the biggest product flops of the decade, blaming “corporate infighting and the glare of reality” for its demise. And Negroponte was losing interest in hardware. After he outlined a dramatic (and ultimately metaphorical) plan to drop tablets out of helicopters, the OLPC Foundation distributed mass-market Motorola Xoom tablets in two Ethiopian villages as a new experiment. In 2012, it reported that children had learned the alphabet within two weeks, and within five months, they had “hacked Android” — which referred to turning off software that disabled the camera. As Android phones and tablets became more sophisticated, Negroponte abandoned development of an OLPC solar-powered XO-3 tablet. He joined the newly founded Global Literacy XPrize soon after, effectively putting OLPC behind him. Arboleda tried to reboot the OLPC Association and offer more institutional support to schools, but the project’s prospects continued to dim. A 2012 controlled study in Peru found that laptops hadn’t improved children’s math or language skills, although there were some other cognitive skill improvements. Cheap laptops were just one factor in children’s educational opportunities, and with so many different options on the market, OLPC seemed downright obsolete. 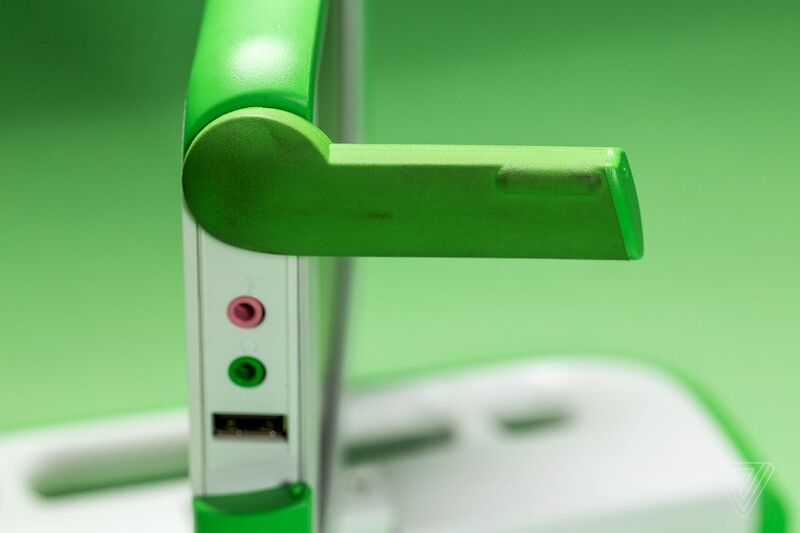 Like many remaining OLPC enthusiasts, Verma isn’t dogmatic about hardware. Sugar Labs is a self-contained project at this point, and its apps have been ported to a web-based launcher called Sugarizer, which can run on just about any platform. In addition to laptops, several OLPC programs distribute standalone servers containing articles from Wikipedia, educational videos from the Khan Academy, and customized material from local educational programs. They’re huge repositories of information for kids and teachers without steady internet connections, and can be accessed via any kind of laptop or tablet. Some OLPC deployments are still run through governments. Rwanda, for instance, has spent the last decade gradually giving laptops to young students. The project’s coordinator Eric Kimenyi says it’s distributed 275,000 across 1,500 schools, a reach that is expanding as more schools get access to electrical power. Some projects, like OLE Nepal, work with education departments but are run as nonprofits. Instead of trying to reach an entire country, OLE Nepal has spread around 5,300 laptops across areas where OLPC’s hardware still has an advantage: remote rural districts with no data networks or wired internet, accessible only through hours of hiking. None of these projects follow Negroponte’s original plan. Nepal and Rwanda’s operations don’t provide one laptop for every child, for instance — children use them in shifts, reducing the total cost to schools. The laptops generally stay in the classroom, where they’re easier to protect and maintain. 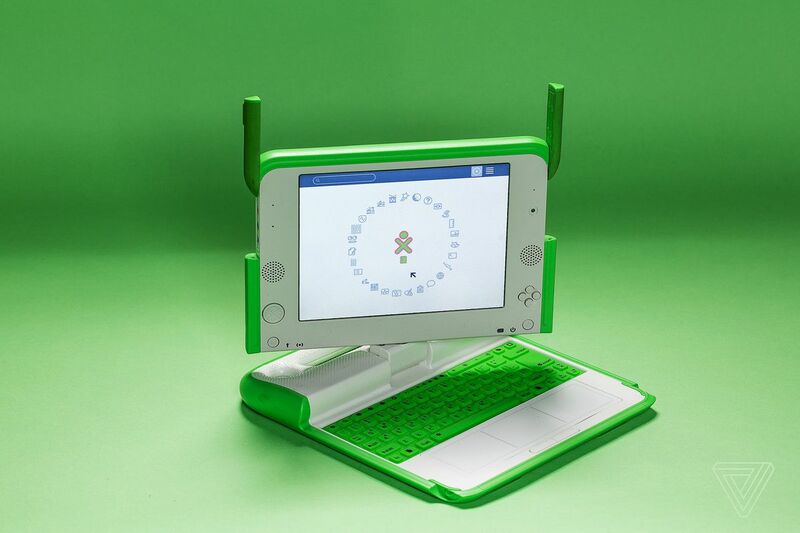 But the initiatives are still working toward OLPC’s larger goal, often using the original XO-1 laptops. The present-day OLPC Association’s relationship with these projects is tenuous. Zamora says that OLPC personally visits schools to deliver laptops, but Verma and others in the volunteer community say they barely even know what’s happening at the organization. “The gap between the volunteers and the company itself has increased, to a point where there’s hardly any feedback between us and them,” says Verma. So why keep building the XO at all? That’s the question that drew Negroponte away from OLPC, but not one that bothers Zamora. “With a little money, we can have a lot of impact on poor communities throughout the world,” he says. “[Other laptops] need to get replaced after weeks of being in the field, with the dust, the water, the heat.” And though some phones and tablets are cheaper in the short term, one rugged OLPC might outlast generations of them. Years ago, I was one of the people who bought into One Laptop Per Child’s early hype. I yearned for a cheap computer that I’d never have to plug in. I swooned over its adorable design. (Those little ears!) I vaguely believed the crank was real, even after I saw an XO-1 firsthand without one. I became, and remain, a huge fan of the Eee PC that followed it. But I’d never actually used the laptop until a couple of months ago, when I ordered one off eBay on a whim. Besides a missing battery, my XO-1 works perfectly, or at least, as perfectly as I could expect from a decade-old computer. I’ve showed off its apps to my colleagues, although it’s so slow that some wander away while they’re launching. Whatever people say about its ruggedness, the hinge feels fragile in my hands. It is eminently a children’s machine, not an all-purpose laptop. My adult brain is already trained on other operating systems, and my fingers barely fit the rubber keys. But I’ve still never seen anything like it.